The draft “clean air” bill would keep bankrupt utility’s nuclear plants open—but drain money from renewables and efficiency programs. Draft bill would be a lifeline for the Davis-Besse nuclear power plant east of Toledo. Ohio’s Republican-controlled legislature has drafted "clean air fund" legislation that would slash renewable energy and efficiency subsidies while adding about $300 million a year to electricity bills in the state, in the name of keeping its nuclear fleet from closing. The move diverges sharply from other state-level policies in the U.S. to prop up financially struggling nuclear power plants for their carbon-free electricity. Last week, Energy News Network released draft legislation (PDF) being circulated by majority leaders in Ohio’s Republican-controlled House of Representatives, primarily aimed at rescuing two nuclear power plants — the Davis-Besse plant near Toledo and the Perry plant near Cleveland, which bankrupt utility FirstEnergy Solutions has threatened to close by 2021. The draft bill would add a maximum surcharge of $2.50 per month to every residential customer’s bill, a $20 per month surcharge to every commercial customer’s bill and a $250 monthly charge to every industrial customer’s bill, to raise roughly $300 million a year. Of that, about $180 million would go to subsidize FirstEnergy’s two nuclear plants, according to analysis reported by Energy News Network. The remaining $120 million would be available to resources that are deemed by the newly created board of political appointees to meet the fund’s criteria. But the newly created board would operate with more secrecy than a regular public utilities commission proceeding. And while the draft bill doesn't use the word "nuclear," its criteria for which emissions-reducing technologies are allowed to claim a piece of the new pot of money would appear to exclude most of the carbon-neutral energy resources now available, besides nuclear power. First, the draft bill would require any qualifying resource to “exclusively” obtain compensation from the wholesale energy markets run by mid-Atlantic grid operator PJM and overseen by the Federal Energy Regulatory Commission — a feature met by FirstEnergy’s nuclear plants, but not by energy efficiency, rooftop solar, or other non-wholesale forms of carbon-free energy. Second, the bill would exclude any facility that receives “state tax exemptions, deferrals, exclusions, allowances, payments, [or] credits, including production tax credits and investment tax credits” — the same federal tax credits provided to wind and solar, respectively. And third, it would bar any municipal utility or rural electric cooperatives. The release of the draft legislation prompted a legislative aide of one of the bill’s sponsors, Republican state Rep. Jamie Callender, to tell Cleveland.com that much of the text was out of date, with a new version “still in a state of flux.” The aide declined to say what would differentiate the newer version of the bill from the draft version obtained last week. The bailout bill comes at a difficult time for FirstEnergy, which has announced plans to close nuclear and coal-fired power plants in Ohio and Pennsylvania if it does not receive additional state or federal support. Last week, Bankruptcy Judge Alan Koschik, who is overseeing the utility's case in the U.S. Bankruptcy Court of the Northern District of Ohio, rejected FirstEnergy’s proposal to get out of bankruptcy more quickly in part by indemnifying parent company FirstEnergy Corp. from paying any future costs for environmental cleanup at its power plant sites. 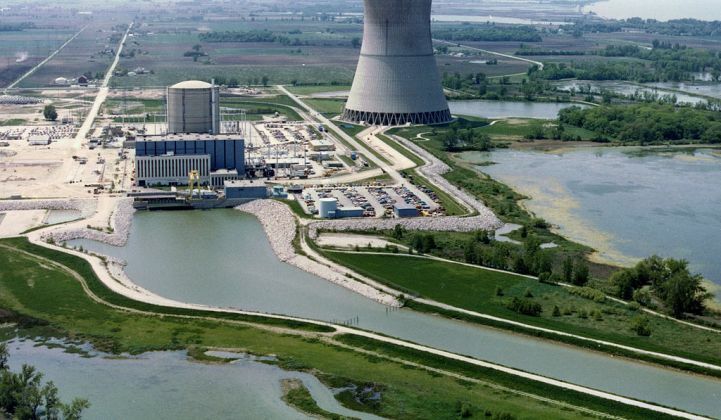 Ohio's plan stands in stark contrast to the nuclear incentive programs that have been rolled out in states including Connecticut, New Jersey, New York and Illinois. While these states have largely built their nuclear support programs on the foundation of existing state clean energy and carbon reduction policies, Ohio’s plan would actually undermine existing payment structures for the state’s relatively mild clean energy and efficiency goals. The draft bill would do this by declaring that Ohio’s existing monthly charges for renewable energy, energy efficiency and peak demand reduction are now “opt-in” rather than “opt-out” charges on residential and commercial customers’ utility bills. Today, these charges appear on every home and business electric bill, with only large industrial customers having the opportunity to opt out of them. But the draft legislation would flip this arrangement on its head, doing away with the monthly charges unless the utility customer sends “written notice of intent to opt in” to pay the extra fees. The vast body of utility experience shows that switching programs from opt-out to opt-in leads to a drastic reduction in participation rates, since few people will choose to pay more every month, even if they support the services the surcharges pay for. These numbers are likely to be winnowed even further if opting in requires written and mailed-in applications, rather than simpler on-bill, over-the-phone or online options. FirstEnergy Solutions filed for Chapter 11 bankruptcy protection in March 2018, after failing to convince the U.S. Department of Energy to issue an emergency declaration that would have forced grid operators and utilities to pay out-of-market prices to its coal and nuclear power plants. While FirstEnergy and the Trump administration have argued the plants are critical to keep the regional power grid stable, multiple studies from PJM indicate the closures won’t affect grid reliability. Many coal and nuclear power plants are struggling to remain competitive. 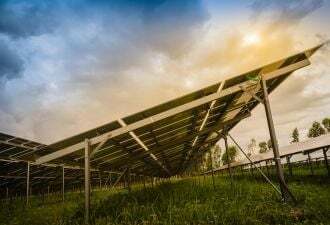 Such plants have been closing at a record rate amid a flood of cheap electricity from natural gas and renewables, as well as continued gains in end-user efficiency. Pennsylvania lawmakers are also considering a bill that would increase utility bills by about $1.77 per household per month to raise about $500 million per year, largely to support two nuclear power plants that owners FirstEnegy and Exelon have said they will be forced to close in the coming years without state support. That bill has drawn fire from consumers and environmental groups for potentially allowing still-profitable nuclear power plants to receive incentives, while not addressing the state’s relatively low ranking in terms of the share of its electricity coming from wind, solar and other carbon-free resources.